One of the nice things about being associated with a school – whether a student, parent, or staff member – is that you can often get better deals on technology than might be available to the general public. As we approach the holiday gift season, here are some tips for how to get deals on some products you might be looking to purchase this holiday season or before next school year. Note: I did not include stores (like HP’s “HP Academy” and Best Buy’s “Student Deals” site that require you to sign up in order to see product offerings, but you can find additional discount stores by searching in Google for student computer discounts). The Microsoft Store EDU portal allows you to choose the school with which you have an affiliation, and will work for both K-12 schools as well as higher education institutions. Through the Microsoft store, you can find good deals on computers, accessories, and software. In many cases, computers cost hundreds of dollars less through this site than through others, and Microsoft often sells configurations (i.e., more RAM) that aren’t available anywhere else. One of the other bonuses of going through this store is that the “Signature Edition” computers sold through the site, as well as the Surface products, have no pre-installed bloatware (software that you probably don’t want). The Apple Store for Education similarly requires you to choose your school, and then gives you discounts on almost all Apple Store offerings, including computers, iPads, software, and accessories. Discounts are not quite as steep, in general, as the Microsoft store, but you’ll save about 5-10% on most items. 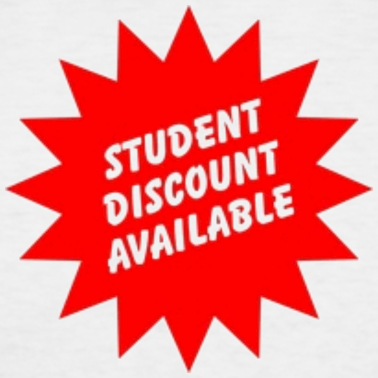 You can buy computer direct from Lenovo’s Academic Purchase Program and receive a student discount at the Lenovo student store. Discounts vary by device, but are typically about 10% compared to the regular Lenovo store.